A quick one on weight loss from my personal experience. It is neither magic nor are there no pills involved, just less than 20 hours of exercise and a little dieting. For some years now I ‘ve made it a habit to jog daily, especially on weekdays, I work out regularly too. It’s not as if I ‘ve not been active before then, far from it, my life has been a very active one and even hyperactive at times. Growing up my dad ensured we had the regular training like most kids at Aba Sports Club. Swimming, tennis, badminton and even squash which was somewhat considered a sport for oldies back then. And in CIC Enugu beside the regular football games on weekdays you are likely to find some us skating at Real Estate on weekends. Sometimes I skate home from Uwani to Upper Chime in New Haven, a distance of about 10km. So I ‘ve always had an active life and that has kept me trim. But you know that as you age your activity reduces and once you are over 40 you will need regular exercise to stay fit and healthy. I ‘ve tried my best in this aspect I must say. However, in the past 5 years or so I ‘ve seen my weight remain the same or increase marginally. But in March 2018 I decided to shed some weight because my Body Mass Index (BMI) was still over the 25 limit for a healthy weight. I was overweight even with my trim and fit stature. It was during the Easter holidays and we just returned from a short family break where we had 4 days of detox. I had read a motivational book and followed the minimalists during the break. On our return, I felt greatly inspired to bring my weight within the healthy weight bracket. I knew I could do it, I had the self-belief too. Increasing the gym hours to burn more calories will be a walk in the park but there was still one snag. 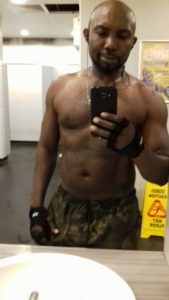 How will I reduce the calories I take in if the extra work out hours is to manifest? I was already on what I considered a low carb diet. I usually have tea or coffee with a slice of brown bread or something lighter for breakfast. And then I eat well at lunchtime. It has been my policy to eat at least one good meal daily, and it is usually one form of ‘swallow’ with a sumptuous soup. Then in the evenings I make do with the bites and chews ranging from grilled chicken to nuts or salad but I try not to eat solid food beyond 7 pm. If I am up and writing late I drink loads of tea, coffee or red wine depending on my mood. I was still rummaging in the kitchen, scanning the refrigerator to come up with a possible combination of alternative foods that will assist in achieving my target till I stopped at the fruit bowl. That was when the idea struck me. Filled with various fruits the bowl is rarely half empty when my wife disposes of the remaining fruits to refill it each Saturday. The kids eat enough at school and even have leftovers when they return. There is no day that I don’t dispose some apples, oranges or bananas from their school bags to prevent rotting. So basically my wife and I eat about 80% of the half from the fruit bowl. I decided to eat more fruits, to try and get the bowl empty by Saturdays. I will substitute meals with fruits. That day I started with bananas, in the evening I ate two and felt heavier than ever. How is it that I will start feeling heavier when I’m on a mission to feel lighter? And I had only just begun. There has to be a way to eat all these fruits without feeling heavier. Even if the calories are low I didn’t like the psychological guilt. Again the solution dropped in a flash. I remembered a smoothie blender lying waste somewhere in the kitchen cabinet. My wife had bought it then when she had the fitness buzz. It was confined to the cabinet once her target was achieved. 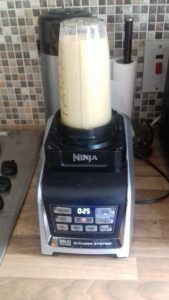 The next day I brought out the blender which was still in mint condition, washed it and blended a mix that had almost every fruit in the bowl. It was filling but somehow I didn’t feel as heavy even though I had eaten more fruits. Yes! I said to myself, I ‘ve got the magic. I went to work. Each morning before school run I’ll drink green tea with lemon. I then go to the gym and spend an hour and a half in the following manner. 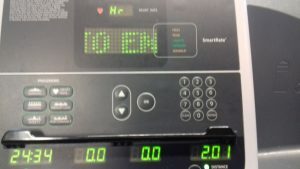 25 minutes in the cardio section jogging about 2 miles on the treadmill. 30 minutes of strength training and free weights. And finally, I do 20 minutes of abs and other fitness exercises in the studio. For lunch, I alternated between my usual swallow and a bowl of salad with smoked fish. It could be any soup with white or lean meat. I eat oatmeal and the ration is often barely the size of my fist. The salad was the normal caesar and the fish could be salmon, cod or mackerel. I reduced the calorie intake in the evenings by substituting chicken and loads of legumes with the smoothie. 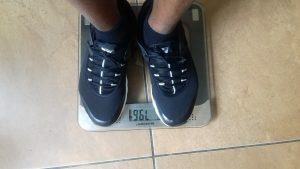 I reckon that I must have dropped between 1–2 kg in the first week and 3-4 kg in the second week after I had adjusted to the diet. This is very easy to achieve and I urge you to try it. You may shed more or less than 5kg but I can assure you that the result will encourage you to keep going. The formula is simple. Jog or walk 30 minutes and substitute one meal with smoothies daily. Good luck and thank me later! 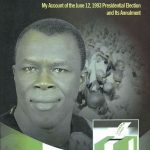 Previous article June 12: Humphrey Nwosu as a metaphor. 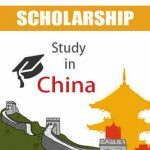 Next article Scholarship in China. June 12: Humphrey Nwosu as a metaphor.